What follows is a subject guide to thousands of FBI files (and their file numbers) that are now publicly accessible. In many cases, these files have never been seen outside the FBI. This is a transcription of a list developed by the National Archives and Records Administration of “exceptional” FBI files—historic, notable, high-profile, or otherwise interesting cases. Getting any of the files listed here should be comparatively simple. One of the most complex parts of the Freedom of Information Act (FOIA) process—the search through an agency’s holdings for requested information—can be eliminated because you’re able to provide the FBI’s own file number. This is not intended to be a comprehensive index to every file the FBI holds. 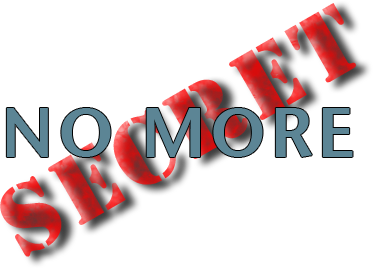 Rather, SECRET NO MORE represents a tiny fraction of FBI files, a tiny fraction even of the files that are accessible under FOIA. The index is a listing of some cases thought to be of historical, social, or journalistic interest. The alphanumeric file numbers themselves are made up of three components: ­ a location abbreviation, an offense code, and a file number. The location abbreviations indicate the FBI field office (HQ is FBI Headquarters, CG is Chicago, etc.). The investigated offense codes are the first three numbers of the file. The file number provides further internal identification for the file. Here is some background information on FBI jargon and other terms, acronyms, and abbreviations. To obtain FBI files from field offices, write the FBI Field Office directly. Details on how to obtain these files follow the alphabetical index. List which files you want, mention if you are a member of the press, and tell the FBI that you agree to pay reasonable fees up to $25 without additional permission so that they can process your request. In some cases, members of the media can request and receive a waiver of fees otherwise charged under FOIA. To receive a fee waiver, members of the media must explain to the FBI how release of the information will further the public understanding of how government works, and how you intend to disseminate that information. Standard copying fees for FBI Freedom of Information material are 10¢/page, with the first 100 pages free. You can ask for the file in electronic (pdf) form on a CD-ROM instead, for which the FBI typically charges $15 per disk. Here is a sample letter you can use to craft your request. Over the past several years, the FBI has been declassifying and transferring old files to The National Archives and Records Administration, including SOME (but not all) of the files noted on this website. If the FBI informs you that the files you seek have been transferred to The National Archives, please note that the National Archives charges reproduction costs at 75¢ per page, and the first 100 pages are not free. Also, files of more recent vintage (1940s and later) require screening for personal information, names of informants, and Grand Jury information, which are exempt from disclosure at the National Archives. Those files available from the National Archives may be viewed free of charge at Archives II in College Park, Maryland. It is best to check with the Archives by mail to ensure that the documents are available for public viewing.